"Because it's Namjoon" is now a valid excuse for BTS members to overlook the plentiful mishaps that happen when fellow member Namjoon is around. Members have gotten used to RM's cute clumsiness, and can now be seen using that phrase in an understanding way. Even if there is a victim of his clumsiness, other members will brush it off "because it's Namjoon." Here, Taehyung hobbles over to the wall for stability. Why? Namjoon stepped on his foot. Sure seems like it must have hurt! 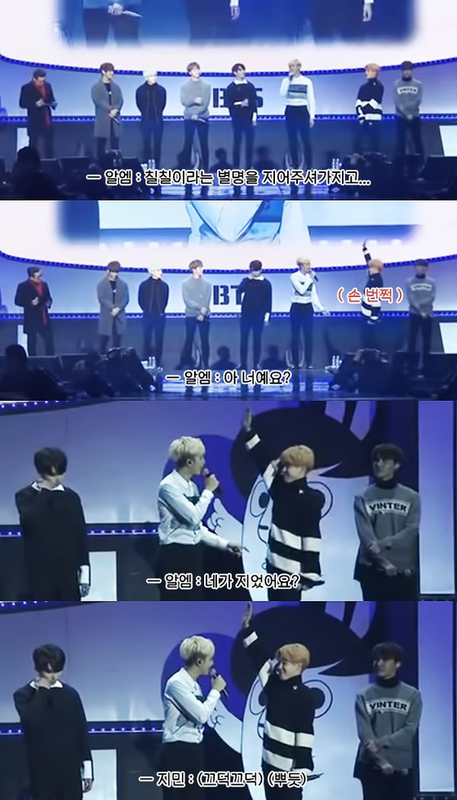 Other members brush it off, saying "Because it's Namjoon, we understand. Come over here," and "It's fine, as long as it's not broken it's fine." 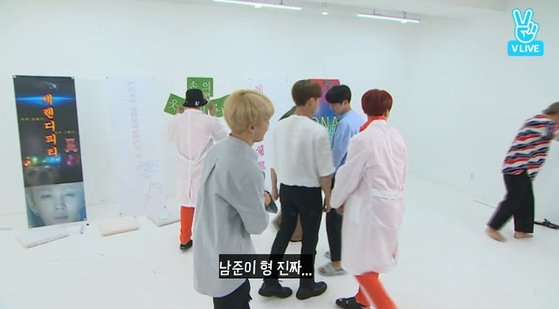 Only Namjoon comforts the hurting Taehyung, sorry for his own clumsiness. 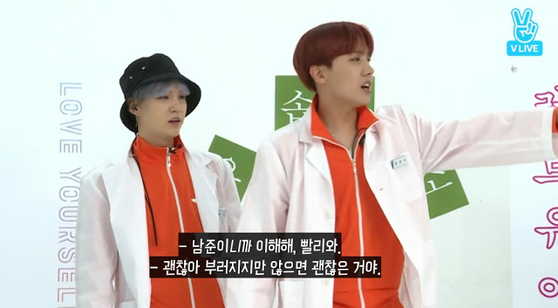 Getting hurt by air conditioners, which the other members cannot understand. 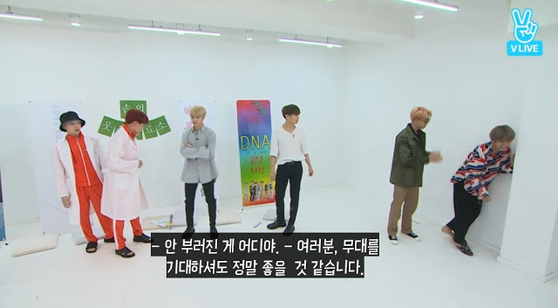 Strutting his swag before realizing, as Jungkook calls from behind "No, don't go! Don't go!," that he was not supposed to. Despite having got in the top percentile of the college entrance exams, he seems to have quite the difficulty getting his pen in its cap. Jimin even coined his nickname, "Chilchili," which is a name similar to a klutz, butterfingers, or otherwise clumsy person. But do not be fooled! 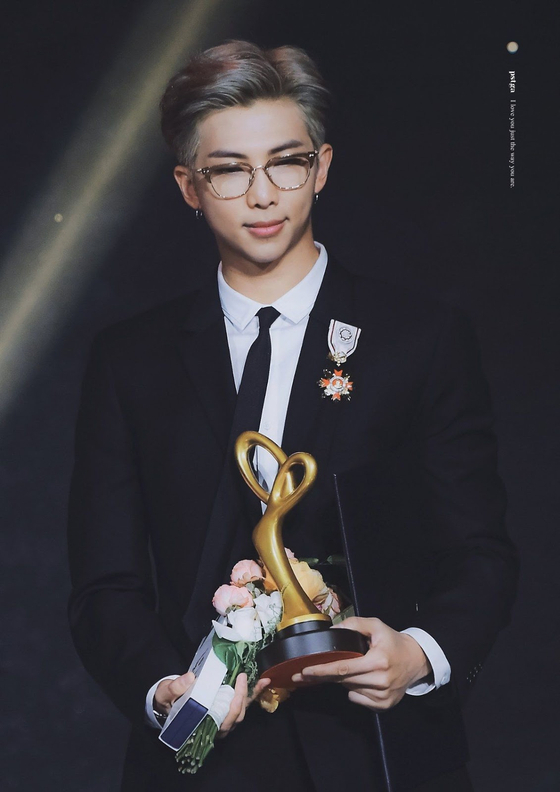 Even Namjoon has his moments where he shines as the cool RM that we know and love! 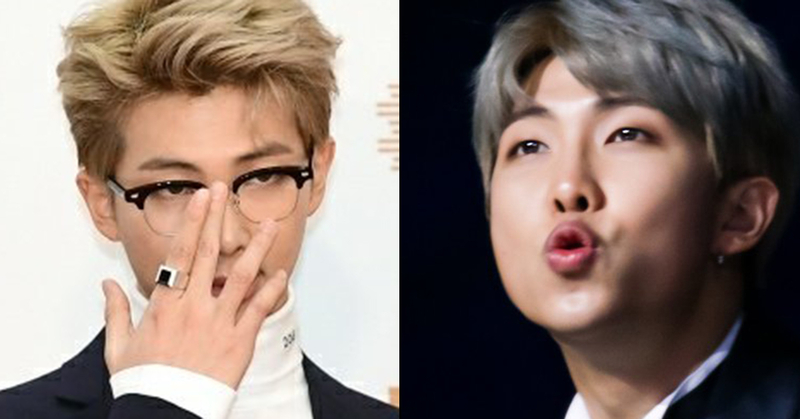 Whether cute Namjoon or cool RM, we love him just as he is!